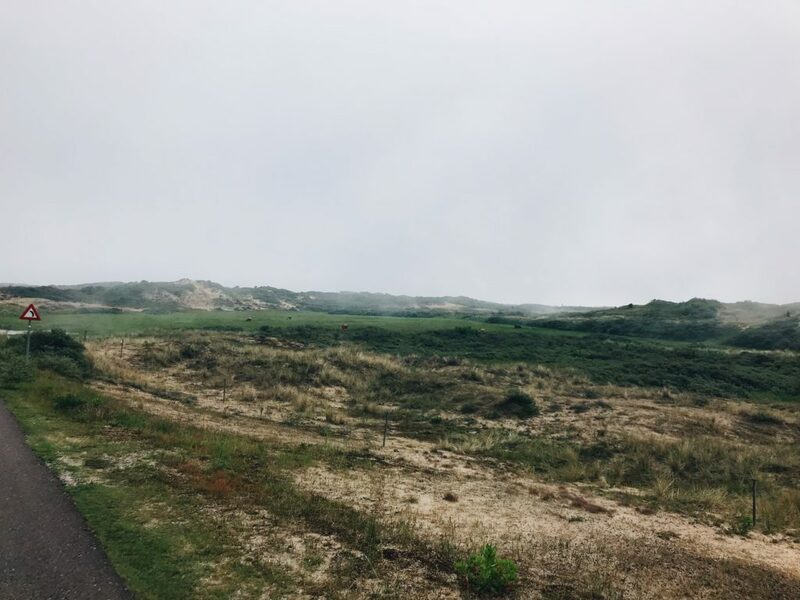 Recently we rode our bikes along the western coast of the Netherlands, to the city of Katwijk in the province of South Holland. During this ride, we traveled through what I think was some of the coolest scenery I have ever seen. We departed from De Haag and traveled North, and then we hit the sand dunes of the West Coast. This area was completely different from anything else we had ridden through during our trip. Instead of flat roads through small villages and vast agricultural land, this bike path twisted, turned, rose, and fell through the massive dunes. On top of the dunes themselves, fog began to roll through, making the environment even more surreal. The day only got better once we arrived in Katwijk. This coastal city has taken a different approach to water management compared to the other cities and sites that we have visited, due to their unique location. Because they are on the coast, they cannot just simply build a dike and be secure from flooding. So, instead of building up structures to separate themselves from the natural world and its elements, they decided to work with their landscape to manage the sea. With the existing dunes, the city had about 30 meters of sand to protect them from any storms coming from the ocean, so they decided to build a dike, cover it with another dune, and incorporate a parking garage. This design not only had the protection of the dike, but also added another 100 meters of dune protection, as well as extra parking spaces for the expanding city and its growing population. 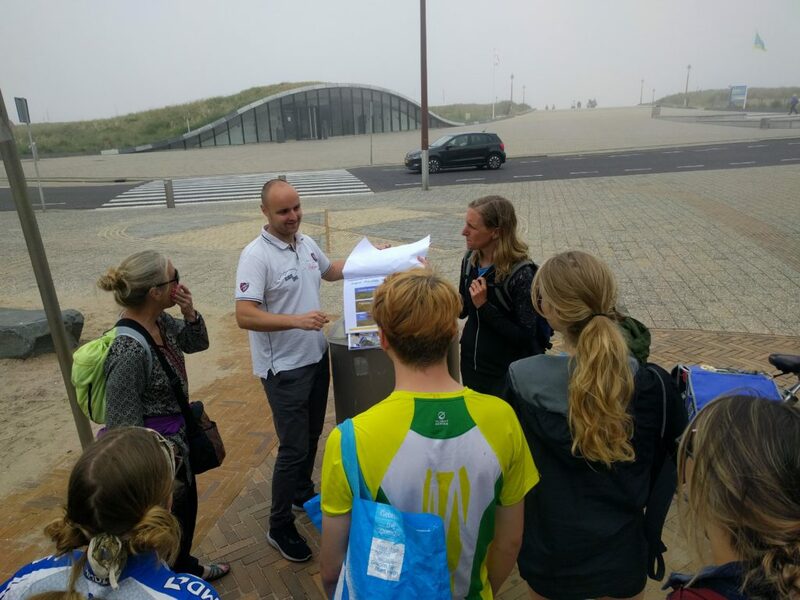 The group learned about other constructed sand dunes in Katwijk that help protect the town from coastal storms and flooding. This site is also a prime example of incorporating all three aspects of sustainability into one project. Environmentally, this site uses the surrounding natural environment to provide protection to the city, without the destruction of the surrounding ecosystems, especially the natural areas on either side of the city. Socially, using the dunes and dike at the front of the city ensures that all of its residents are protected from future storms, not just those who have the privilege to move to higher ground. Finally, this site also incorporates economic sustainability in many ways. The project was funded by resident tax dollars, and taxes also allow the local government to maintain the area. In addition to tax funding, the increased beach area attracts more people to the city, thus improving the local economy in all different sectors.